Hummus is a dip/spread that is made from chickpeas. In fact, hummus is the Arabic word for chickpea. Hummus is one of the more popular Middle Eastern dips. Served with fresh or toasted pita bread, hummus makes for a great snack or appetizer. 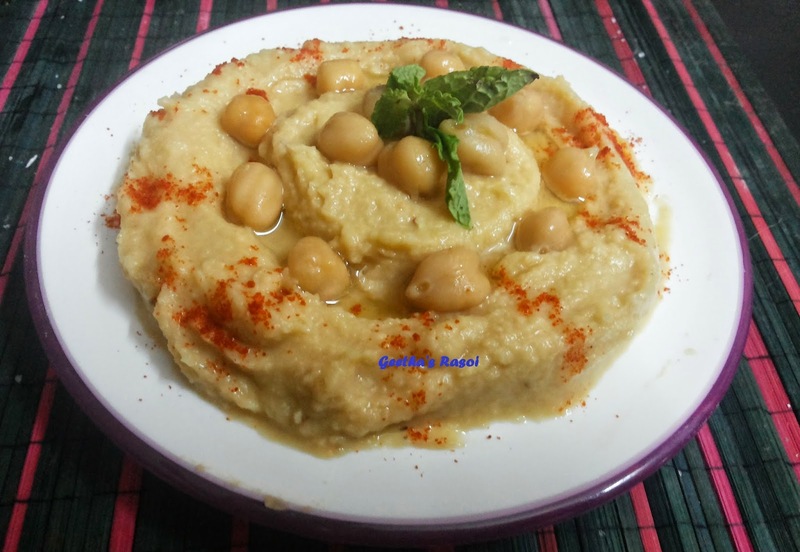 Tahini is an important part of the hummus recipe and cannot be substituted. However, it can be omitted. Grind cooked check pea with sesame seeds, garlic, lemon juice, salt and olive oil into smooth paste. Take this into serving bowl sprinkle pinch of chilli powder, make small well in that paste add little olive oil. Garnish with chickpea.